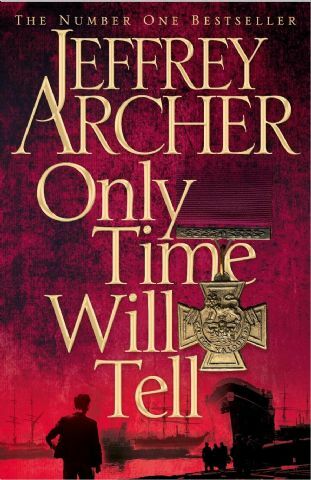 “Only Time Will Tell” is the second book of Jeffrey Archer I read so far. The First one was “Shall We Tell The President”. This book will leave you hanging in air, as this is the first book in the Clifton Chronicles. Jeffery Archer knows how to put a simple story in such an excellent way that, you can’t even think of putting down the book once you start reading it. Like all of his book this book to has many twists and turns and few jaw dropping moments, specially the last line from the book which will leave you breathless. after reading the last line you will be like “ohh no, what now?”, you can’t just wait for second book in the trilogy. The book is all about the legendary story of the protagonist “Harry Clifton”, is the first book in Clifton Chronicles of three books. The book is set in pre-second world war era (1919 to 1940) and basically revolves around two families – Barrington and Clifton. This first book has some amazing characters like Old Jack, Harry, Massie, Giles and many more and story is told from the perspective of all the major characters. The epic tale of Harry Clifton’s life begins in 1919, in the back streets of Bristol. His father was a war hero, but it will be twenty one tumultuous years before Harry discovers the truth about how his father really died and if, in fact, he even was his father. “Only Time Will Tell” takes a cast of memorable characters from the ravages of the Great War to the outbreak of the Second World War, when Harry must decide whether to take his place at Oxford, or join the fight against Hitler’s Germany. In Jeffrey Archer’s masterful hands, you will be taken on a journey that you won’t want to end, even after you have turned the last page of this unforgettable yarn, because then you will be faced with a dilemma that neither you nor Harry Clifton could ever have anticipated. The character development in this book is brilliant, plot is interesting and brilliantly expressed and narration is also good. Overall a very interesting and good read for all fiction fans.